Cash flow statement is one of the new financial statements that the company has incorporated reform of 2007. This is a state that reports on the use of monetary assets such as cash and cash equivalents categorizing the changes by activities and indicating the net change of such magnitude in the exercise. Although this is a new legal obligation, it is a financial statement widely discussed in the accounting literature and studied in all curricula, usually within the subject of financial statement analysis. It is often called cash flow statement or statement of cash flow. The cash flow statement replaces somehow the financial table included in the memory of PGC (Plan General Contable) 1990 while the cash flow statement is not contained within the memory but is configured as an annual account itself. Cash flows from operating activities (FEAE). Cash flows from investing activities (FEAI). Cash flows from financing activities (FEAF). The shortest method is to separate the main concepts of receipts and payments in gross terms while the indirect method no receipts and payments directly detailed, but from the results a number of adjustments are made to reconcile this result with cash flow. The cash flow statement follows the indirect method to determine the operating cash flow, against the recommendation of the NIC, without giving any justification. Moreover, unlike what they do IAS (International Accounting Standard) or IFRS (International Financial Reporting Standards), a standardized format, and binding set. As for the other two types of flows, investment or financing, the method used is direct. In this class covers payments that originate in the acquisition of non-current assets such as intangible assets, equipment, investment property or financial investments are included, as well as cash receipts from their sale or amortization at maturity (if investment maintained to maturity). The change in cash and cash equivalents and other liquid assets caused by the acquisition or disposal of a set of assets and liabilities that make up a business or line of activity will include, where appropriate, as a single match in investment activities under the heading investments or divestments as appropriate, creating a specific heading for this purpose. Cash flows from financing activities are defined as cash receipts from the getting hold by securities’ third parties issued by the company or resources granted by financial or third entities, in the form of loans or other financial instruments, as well as payments made by redemption or repayment of the amounts contributed by them. They also appear as cash flows from financing activities Payments for shareholders as dividends. Regarding non-cash transactions, in memory will be informed of investment operations and significant funding for not having given rise to variations in cash, they have not been included in the cash flow statement. For example, the PGC cites the conversion of debt into capital or acquisition of an asset through a finance lease. Where there is a hedging flow of the hedging instrument they will be incorporated in the same heading as those of the hedged item, indicating this memory effect. Although it is two very similar financial statements there are some differences between the cash flow statement in the PGC regulated and established in international accounting standards. 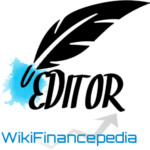 First IAS justifies the need for a statement of this nature from the needs of users of financial information and develops the potential uses of the information provided. The PGC is limited to establishing the content of this annual account without establishing any reason for its formulation. By including the PGC interest, both collected and paid and dividends received as operating cash flow, there is a contradiction between the profit and loss includes these expenses or income as financial results and cash flow statement that includes as operating receipts or payments. Although it is two different financial statements, we believe it would have been more consistent not include financial results in exploitation flows. Here you can download the sample format of cash flow statement. 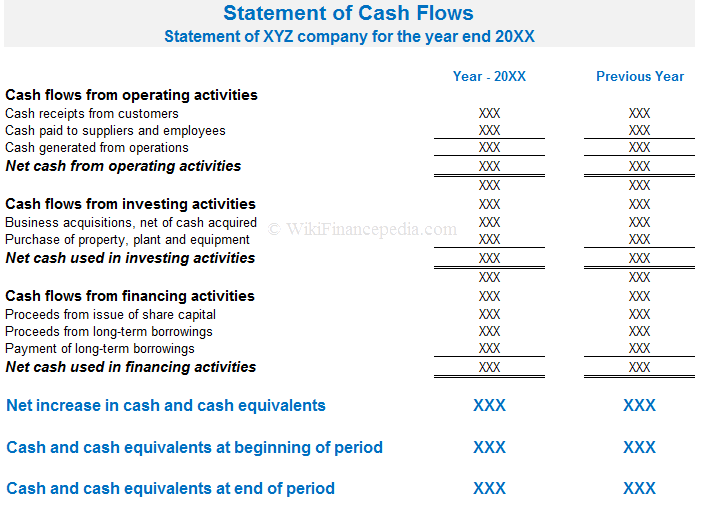 You can see the example of cash flow statement of the company in this template. This accounting report will assist you in your fundamental analysis of the company performance. This will also guide you in making decision about buying or selling the preference shares, debentures, stocks or corporate bonds. Hi this is Parag, You have an invaluable post across your website. You seems to be having tremendous knowledge on finance. This website is really going to one of the brilliant website for the world. I was pleasure writing across your website. I have seen in many other website which they have messed-up. You seems to have fabulous knowledge. Great Job!